Full Cutting Patterns Are Included! 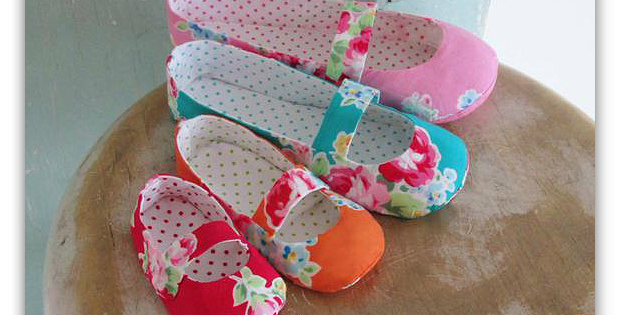 Choose your prettiest fabrics for a set of Mary Jane flats for yourself or for a friend. They’ll be fun in many fabric styles and can be worn as slippers or house shoes. The pattern includes sizes from newborn to women’s size 11. It will be fun making them up for all your favorite women, from the very young on up. They’re also great projects for craft shows and bazaars. The shoes are easy to make and finish quickly. The pattern, from Winter Peach, has fully tested cutting patterns for all sizes. Click here to purchase the “Mary Jane Flats” pattern set. 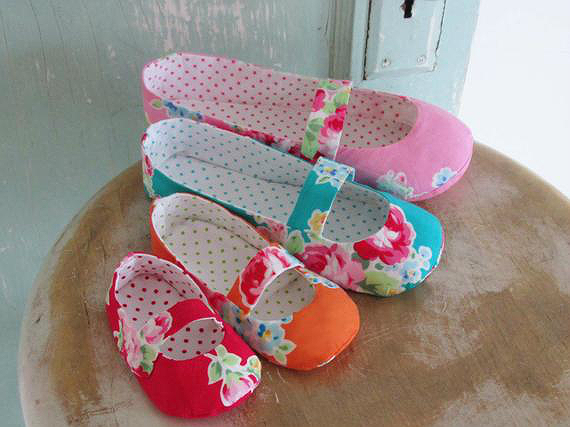 The designer has several other cute slipper and shoe patterns available. You’ll find them all here.